The mission of Journal of Clinical Radiology and Case Reports is to publish peer-reviewed papers and survey articles on research and development in the fields of Radiology. Journal of Clinical Radiology and Case Reports provides a platform for innovative research, new concepts, and novel developments in the application of informatics tools to solve the related issues in that particular field. 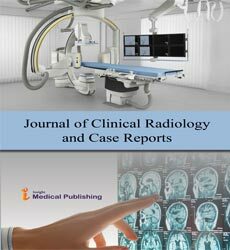 Journal of Clinical Radiology and Case Reports deals with the advances on both fundamental and applied research in various branches of Radiology and allied areas such as radiation oncology and interventional radiology. Radiology subspecialties like Breast imaging, Cardiovascular Radiology, Neuroradiology, Chest Radiology, Emergency Radiology, Gastrointestinal (GI) Radiology, Genitourinary Radiology, Musculoskeletal Radiology, Pediatric Radiology, Head and Neck Radiology.